When dealing with a writer like C.S. Lewis one is always confronted with the question of whether the proverbial glass is half-full or half-empty. There is much to commend Lewis as a writer: he is intelligent, thoughtful and articulate. Lewis was Professor of Medieval and Renaissance Literature at Cambridge University and the author of the children’s stories The Chronicles of Narnia. As a former atheist who became a professing Christian, he is especially effective at pointing out all of the flaws in modern secular thinking. But when he turns his attention to theology his work has serious problems of its own. As it turns out, his strength as an apologist is his weakness as a theologian. In the first part (“Right and Wrong as a Clue to the Meaning of the Universe”) we see Lewis at his best. Here he lays out the apologetical argument for belief in Christianity. He appeals to the innate human sense of right and wrong, and argues from that that there really must be an external, objective standard of morality; and that this, in turn, can be accounted for only if there is a Supreme Being. Lewis demonstrates convincingly that there is no adequate secular alternative. It is either God or nothing. It is in the second part (“What Christians Believe”) that Lewis gets into trouble, and the chief flaw is contained right within the title of the book. He is seeking to defend “mere” Christianity, which he defines as “what Christians believe.” The problem here is that he is defining Christianity so broadly that it includes the Roman Catholic and Easter Orthodox churches, as well as Protestantism (he himself was a member of the Church of England). This means that instead of going to Scripture and expounding it, he is merely content to state what all the branches of professing Christendom hold in common. Unfortunately this means that he is hopelessly vague on the most important doctrine of all, the nature of salvation. Lewis tells us that he does not want to commit himself to any particular theory of the atonement, but he is particularly dismissive of the one that is the most biblically orthodox, what is generally called the Penal Satisfaction theory. Biblically orthodox theologians, end even Roman Catholic ones, for that matter, have argues that Christ died as a substitute for those who would believe on Him, and effectively paid the penalty for their sins. All that Lewis will say, however, is that “Christ’s death has somehow put us right with God and given us a fresh start” (p. 57). “We are told that Christ was killed for us, that His death has washed out our sins, and that by dying He disabled death itself” (p. 58). And that is as far as Lewis is willing to go. And probably because he is so vague on the nature of the atonement Lewis was also vague on how we receive its benefits. He tells us that there are three means by which we receive the life of Christ: baptism, faith, and Holy Communion, but he will not tell us how the three relate to each other. “. . . I am not saying anything about which of these three things is the most essential” (p. 63). But the Bible itself is quite clear on the matter: we are “justified” (i.e., made righteous in the sight of God) by faith (Rom. 3:28; 5:1; Gal. 2:16; 3:24). Baptism and the Lord’s Table are signs and seals of that faith, the formal, outward means by which we publically express our faith and make a formal commitment to Christ. But what actually saves us (what theologians call “the instrument of justification”) is our personal faith in Christ alone as our Savior. (Note: there is no direct command and no clear example anywhere in the New Testament for baptizing anyone who cannot personally make a public profession of faith in Christ. Infant baptism makes about as much sense as a label on an empty bottle!). Unfortunately Lewis even goes so far as to suggest that a person could be saved who had never heard of Christ at all. “We do know that no man can be saved except through Christ; we do not know that only those who know Him can be saved through Him” (p. 65). At this point Lewis has quite taken leave of his senses. The third part of the book is entitled “Christian Behaviour,” and here again he does not take a strictly biblical approach, but is content simply to lay out “what Christians believe.” Thus at one point he delineates the “seven virtues” – the four “cardinal virtues” (prudence, temperance, justice, and fortitude) and the three “theological virtues” (faith, hope and love). These distinctions he borrowed from Roman Catholic teaching, and the Catholic Church, in turn, borrowed the “cardinal virtues” from Greek philosophy. But it is nothing less than astonishing to see Lewis, and the Roman Catholic Church, reaching to non-biblical, and even non-Christian sources, for guidance on morality! Sadly, however, it has to be admitted that modern evangelical Protestantism has tended to avoid the subject of Christian ethics altogether, and Lewis does have some helpful insights on the subject. The fourth section of the book, “Beyond Personality,” entails a rather abstruse discussion about the nature of the Trinity, and here Lewis is not alone in philosophizing about the metaphysical distinctions within the Godhead. Lewis then concludes that section with a discussion about how to live the Christian life. But here it is hard to discern what role, if any, that the Holy Spirit plays in conversion and sanctification. At points Lewis seems to be saying that God uses natural means to change us – if we let Him – and that it is a slow, gradual process that lasts over a lifetime. Lewis concludes his book with a speculative discussion about what the future evolution of the human race might look like. 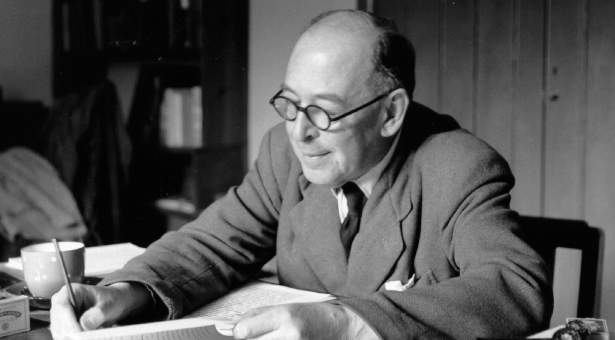 Part of the problem with Lewis’ approach to “mere Christianity” may stem from the fact that he was a member of the Church of England, a church which has typically tried to be all things to all men, and has sometimes tried to straddle the fence between Roman Catholicism and Protestantism. But if a church is not soundly biblical in its theology, and especially if it is not clear on the issue of salvation, in the end it has nothing to offer a perishing humanity. The most valuable thing that the church can give the world is the truth, the truth about its predicament and salvation. If we genuinely care about our fellow human beings we will give them the gospel, and we will do this both lovingly and faithfully. Anything else is nothing less than criminal – it leaves men and women to perish in their sins. Lewis has performed a valuable service to the church as an apologist. As a former atheist who converted to Christianity he was forced to think through the issues and arrive at some firm conclusions, and as a result he can present the case for Christianity very convincingly. We can only wish that he had done a better job of explaining Christian doctrine – as it has been revealed to us in Scripture! The letters to the seven churches of Asia found in Revelation chapters 2 and 3 contain many solemn warnings and gloomy predictions, and they are warnings which ought to be taken seriously by every church in every age. But interestingly there were two churches (Smyrna and Philadelphia) to which no rebuke was given, and in the examples of these two churches we may take some measure of comfort. The Philadelphia of which we speak, of course, is not the famous metropolis on the Delaware – it was an ancient city located in the Roman province of Asia, now a part of modern Turkey. Ancient Roman Philadelphia was situated further inland, on the edge of a fertile plateau. But it was also prone to earthquakes, and had been destroyed several times, most recently in A.D. 17. The church itself, we may gather from the letter, was small and not very influential, and subject to persecution. And yet through it all it remained faithful to the Lord, and was therefore commended. As with the other letters to the seven churches, this one begins with a description of Christ, the One who is speaking to the church. “These things says He who is holy, He who is true, ‘He who has the key of David, He who opens and no one shuts, and shuts and no one opens’” (Rev. 3:7; NKJV). Here attention is drawn to Christ’s character: He is “holy” and “true,” the idea being that His motives are true and His word can be relied upon. The second half of the verse (“He who has the key of David, He who opens and no one shuts, and shuts and no one opens”) is a reference to a passage in the Book of Isaiah (Isa. 22:22) in which “the key of the house of David” apparently represents the authority of the royal steward, an official kind of like a modern prime minister. The reference in the letter to the church of Philadelphia points to Christ’s authority and control over events. No matter how difficult the circumstances, the church may safely trust in Christ to guide it through. The letter goes on to say several positive things about the church itself. It says, “You have a little strength” – most commentators seem to think that it should be translated “you have but little power” (ESV; cf. NIV), emphasizing how little strength the church had, rather than the fact that it had any at all. Apparently it was a relatively small church, with little in the way of numbers and resources. It was evidently also a persecuted church – the letter refers to “those of the synagogue of Satan, who say they are Jews and are not, but lie” (v. 9). Apparently the Christians in Philadelphia encountered the same kind of opposition from the Jewish community as did the church of Smyrna (Rev. 2:9). Yet in spite of all these disadvantages and obstacles the church at Philadelphia remained faithful. Our Lord says that they kept His word and did not deny His name (v. 8). In a word, they persevered (v. 10). This, then, was the type of church which Christ commended. What, then, does our Lord promise it? First of all, He says “See, I have set before you an open door, and no one can shut it” (v. 8). The commentators are not entirely agreed as to what this means, but it apparently has reference to an open door of opportunity to serve the Lord, especially in evangelism. Our Lord also tells them that He will make their persecutors “come and worship before your feet, and to know that I have loved you” (v. 9). This may refer to a future conversion of Jews (Rom. 11:26-29), as well as the millennial reign of the saints with Christ (Rev. 20:4-6). And then our Lord tells the church at Philadelphia, “I also will keep you from the hour of trial which shall come upon the whole world to test those who dwell on the earth” (v. 10). Dispensationalists commonly use this verse as a proof text for a “Pretribulation Rapture,” the idea that the Christian church will be completely removed from the earth before the Great Tribulation of the end times begins. But that is probably reading a little too much into the text. First of all, this is the only one of the seven churches that is told that it will be kept from “the hour of trial.” Two of the other churches, in fact (Smyrna, 2:10; and Thyatira, 2:22) are told to expect tribulation of some sort. Moreover the text doesn’t actually say that the church will be physically removed from the earth – it only says “I will also keep you from the hour of trial,” which might simply mean that Christ will preserve them from suffering during the Tribulation. Persecution does not always fall with equal force in every place. Philadelphia might be spared while Smyrna languishes. The important thing is that the church of Philadelphia will not suffer, at least not greatly. The tribulation will be an “hour of trial,” and their faith had already been tested and found genuine. One might also ask then this “hour of trial” will take place? The church at Philadelphia, after all, existed 2,000 years ago and is no longer around today. How, then, was this promise to be fulfilled? It will be noted that a prophecy can have a double or even triple fulfillment. In this particular case the immediate reference may very well have been to the persecution under the reign of the Roman Emperor Domitian around “A.D. 95. But given the overall theme of the Book of Revelation the final, Great Tribulation of the end times must also be in view. And all through church history there have been churches like the one at Philadelphia which have been promised the Lord’s protection in the midst of the trials and difficulties they face. This letter, like the others, ends with an exhortation and a promise. Christ tells the church at Philadelphia to “Hold fast what you have, that no one may take your crown” (v. 11). They are on the right path; they have served Christ well. They must just be careful to stay on that path and finish the race successfully. The “crown” was a wreath or garland that was given as a prize or honor. The crown was theirs because they had remained faithful to the Lord, but they could lose it if they became distracted like some of the other churches. That would be a tragedy indeed. And then follows the promise to those who “overcome” (v. 12). In this case there are several promises. Christ tells them that He “will make them a pillar in the temple of My God, and he shall go forth no more.” Here we have the image of permanency and stability. And then He says that He will write on him several names – the name of God, the name of the city of God, and His own new name, all signifying ownership and belonging. All who genuinely love the Lord and serve Him faithfully have the assurance of His love and protection. Today there are many small churches that are struggling to survive in a world that has largely grown indifferent towards religion. Circumstances like these should always call for self-examination. Are we truly serving the Lord, or are we merely “going through the motions” through force of habit and tradition? But assuming that our love for Christ is real and genuine, we can take hope. God does not need numbers, money, buildings or TV ministries. What He desires are the faithful few who are genuinely committed to serving Him. To them goes the crown of victory! As we have seen, God is the Creator of heaven and earth. And as we might also note, he is “merciful and gracious, longsuffering, and abounding in goodness and truth” (Ex. 34:6; NKJV). This, in turn, raises the age-old question, if God is wise, good and all-powerful, why is there evil in the world? This known as the problem of “theodicy,” and it admits of no easy answer. Two things need to be remembered. First of all, the presence of evil in the world is an undeniable fact – it is an unpleasant reality with which we all live. Secondly, when it comes to God’s purposes in the world, we only know what He has been pleased to reveal to us in Scripture. “The secret things belong to the Lord our God, but those things which are revealed belong to us and to our children forever, that we may do all the words of this law” (Dt. 29:29). Beyond that we simply do not know, indeed, we cannot know. That means that part of the question of theodicy must remain unanswered. There are, however, several things about the origin of evil that we can know, the most important of which is that it originated with us. The question is not, why does God permit evil? The real question is, why do we do it? If there is a paradox here, it does not reside with God; it resides with us. If we are God’s creatures, created in His image; if we have consciences, then why do we choose to do what we ourselves believe is wrong? It is instructive to go back and see how it all began. According to the biblical account, it began with a single act of disobedience. God had placed our first parents in a garden and told them, “Of every tree of the garden you may freely eat; but of the tree of the knowledge of good and evil you shall not eat, for in the day that you eat of it you shall surely die” (Gen. 2:6,17). Enter Satan, who takes the form of a serpent. He approaches the woman, Eve, and on questioning her she repeats what God had told her and her husband Adam. It is at this point that the serpent makes the fatal suggestion: “You will not surely die. For God knows that in the day you eat of it your eyes will be opened, and you will be like God, knowing good and evil” (Gen. 3:4,5). Whom should she believe? God or Satan? She made the fatal choice and acted on Satan’s suggestion. Both she and her husband ate the forbidden fruit. This was the birth of secular philosophy. Satan’s suggestion has several staggering implications. First of all was the suggestion that knowledge can be obtained independently of God. Just because God said something does not necessarily mean that it is true. Eve must use her critical faculty to determine what the real truth is. In other words, what are witnessing here is the birth of rationalism. Secondly, there is the suggestion that God does not exercise control over what happens in the physical realm. God had said, “in the day that you eat of it you shall surely die” (2:17). But Satan boldly asserted that “You will not surely die” (3:4), the implication being that God cannot control what would happen to Eve if she ate the fruit. In other words, nature operates independently of God. This was the beginning of naturalistic materialism. And then there is the implication that God need not necessarily be obeyed. Just because God had said that something is not permitted does not mean that we should not do it. This suggests that we can derive an ethical standard independent of God’s will. In other words, what we have here is the birth of secular philosophy. In the areas of epistemology (theory of knowledge), ontology (theory of being) and ethics we had declared our independence from our Creator. 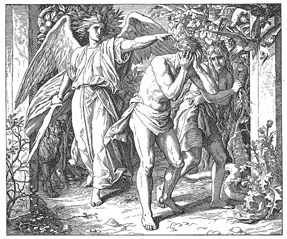 To state the matter crudely in the common vernacular, Adam and Eve basically told God to take a flyin’ hike, and that, of course, wrecked their relationship with Him. He was their Creator; He had provided them with everything that they had needed. The restriction that He had placed upon them was modest and reasonable. And yet they chose not to obey. They were thus doomed, by their own choice, to live life apart from God. They had made God their enemy. The Apostle Paul, writing to the church at Rome, declared, “For the wrath of God is revealed from heaven against all ungodliness and unrighteousness of men, who suppress the truth in unrighteousness” (Rom. 1:18). The “ungodliness” (Greek: asebeia) is the lack of reverence and devotion to God. The “unrighteousness’ (adikia) is the lack of justice or conformity to God’s law. Paul then goes on to deliver a stunning indictment of the human race. There is ample evidence for the existence of God in nature. Yet, “although they knew God they did not glorify Him as God, nor were thankful, but became futile in their thoughts, and their foolish hearts were darkened” (v. 21). They “exchanged the truth of God for the lie, and worshiped and served the creature rather than the Creator, who is blessed forever. Amen” (v. 25). “Therefore God also gave them up . . .” (v. 24; cf. vv. 26,28). No more terrifying words than these are found in Scripture. God abandoned them to their lusts and passions. Originally created in His image, to serve Him, they sank into anti-social and self-destructive behavior, and all the while under God’s wrath and condemnation. We are slaves to our own self-centered desires, marching blind-folded to hell. The average educated, middle-class person today may not think of himself as a depraved sinner. He obeys the laws of society (except the speed limit! ), pays his taxes, and provides for his family. But he is still trying to live his life without God. He has basically declared his independence from divine authority and control, and thinks of himself as autonomous and self-sufficient. His very success in this life was achieved in defiance of his Creator, Sustainer and Judge. How can he expect to survive the Last Judgment? What we have been advancing so far has often been called the “Divine Command Theory of Morality,” and to those of who are Christians the truth of the theory might seem obvious. If God exists, if He is both our Creator and Judge, then why wouldn’t His will be normative? After all, He is the One in charge. There have been philosophical objections to this theory, however, and it might be worth our while to consider two of the better known ones. The first comes from a well-known dialogue of Plato’s called Euthyphro, and is the objection is sometimes referred to as “Euthyphro’s Dilemma.” The dialogue takes the form of a discussion between Socrates and Euthyphro, who had recently accused his father of having committed murder. Socrates questions whether it is proper for a son to prosecute his own father, and in reply Euthyphro points to some of the examples of the Greek gods, specifically Zeus imprisoning his father Cronos, and Cronos castrating his father Uranus. This then opens a discussion about the nature of morality, and how we know right from wrong. When challenged by Socrates, Euthyphro defines “piety” as “that which is dear to the gods,” and “impiety is that which is not dear to them” (6e). Socrates points out an obvious difficulty with this definition: in Greek mythology the gods often quarreled with each other, suggesting that they were less than perfect. The gods disagreed among themselves about what was good and desirable. Socrates suggests altering the definition somewhat by adding an important qualification: “What all the gods hate is impious, and what they love pious or holy; and what some of them love or others hate is both or neither” (9d). Euthyphro quickly agrees. Socrates then poses the dilemma: “The point which I should first wish to understand is whether the pious or holy is beloved by the gods because it is holy, or holy because it is beloved by the gods” (9e-10a). Socrates pushes Euthyphro into stating that something is loved by the gods because it is holy, and not the other way around. This implies a standard of morality that exists independently of the gods. When Socrates pushes Euthyphro once more to state what holiness or piety is, Euthyphro admits that he is stumped. The same objection was raised in a slightly different way by the 18th Century German philosopher Immanuel Kant. Kant says that a model “can in no way supply the prime source for the concept of morality. Even the Holy One of the gospel must be compared with our ideal of moral perfection before we can recognize him to be such . . . But where do we get the concept of God as the highest good? Soley from the Idea of moral perfection, which reason traces a priori . . .” (Groundwork of the Metaphysic of Morals, Chapter II). In other words the only reason we think that God is good is because we already have a notion of what “good” is, and we are measuring God by that standard. If that is the case, then, we did not get our definition of “good” from God, but from some other source. The problem with Plato’s (and by extension Socrates’) argument is that it takes place in the context of polytheistic religion, which featured a motley assortment of gods who engaged in all sorts of disreputable behavior, just as human being do. 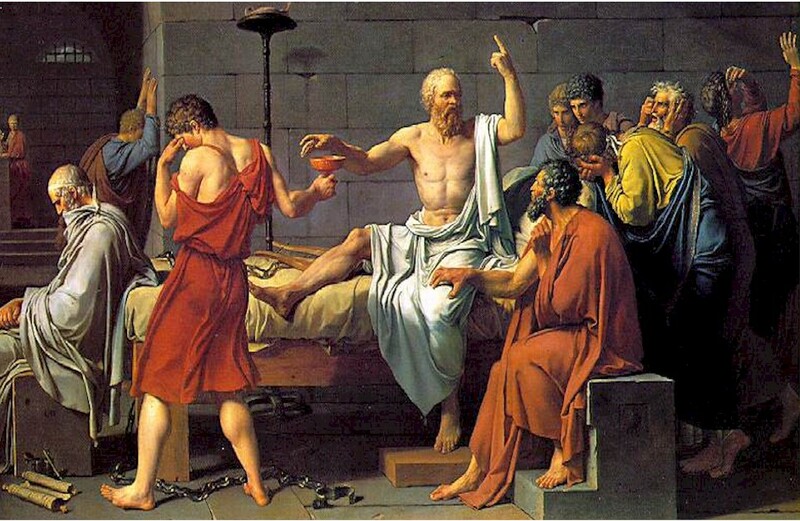 Socrates was quite right in pointing out that they could not serve as moral examples for us. But Christianity posits the existence of only one God, a God who is perfectly just and holy. The Bible begins by stating a positive fact about God himself. In a dramatic scene on Mt. Sinai God reveals Himself to Moses and proclaims, “The Lord, the Lord God, merciful and gracious, longsuffering, and abounding in goodness and truth . . .” (Ex. 34:6; NKJV). Mercy, grace, longsuffering, goodness and truth are all a part of God’s own moral character. And thus if we ask the question, where do we get our a priori notions of morality, the answer is that “When Gentiles, who do not have the law, by nature do the things in the law, these, although not having the law, are a law to themselves, who show the work of the law written in their hearts, their conscience also bearing witness, and between themselves their thoughts accusing or else excusing them” (Rom. 2:14,15). We often accuse others of wrongdoing; and when accused by others we feel compelled to excuse ourselves. But how did we get the idea of right and wrong in the first place? The answer is that God himself has written His law within our hearts, giving us a conscience by which we may know, at least in a rudimentary form, what is right and what is wrong. Kant’s problem is that he wants to start with himself as an autonomous being and then sit in judgment on God. But the plain fact of the matter is that God existed first, from all eternity, and is infinitely greater than Herr Professor Kant. God is the one who created reality; God is the one who determines morality. We exist for His purposes, and He will ultimately be our Judge; not the other way around. Thus “Euthyphro’s Dilemma” is no real dilemma at all. Right and wrong are decided by our Creator, and are ultimately based on His own moral character. Furthermore, He has engraved His law upon our consciences and revealed it to us in written form in the Bible, so that we are without excuse.